Success in tradeshow and event marketing is often measured by the degree to which objectives were met. From volume of traffic – how many attendees visited your exhibit; to level of engagement – did you accomplish the goal you set forth; – to establishing a connection or setting that next appointment for more in-depth conversation. There’s also the less concrete but equally important objective: did you make an impression? One sure-fire way to make an impression is with bold, powerful images. It’s important to keep in mind a recent study by Jerome Bruner of New York University, citing that people only remember 10% of what they hear and 20% of what they read, but about 80 percent of what they see and do. That’s right: 80%. Visuals matter. What can you do when you have a lot of information to showcase and to share? 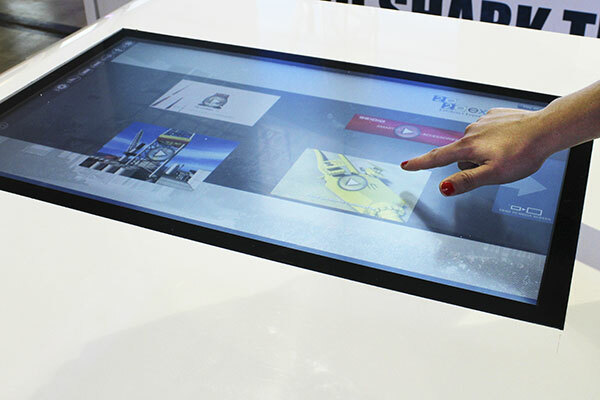 One clean, simple and dynamically powerful solution is the 2020 Exhibits Smart-Touch. With robust content management and delivery, the Smart-Touch brings visuals to life, with one simple touch, they can be seen across multiple screens simultaneously. It allows for multiple-users simultaneously, evenly splitting the screen. 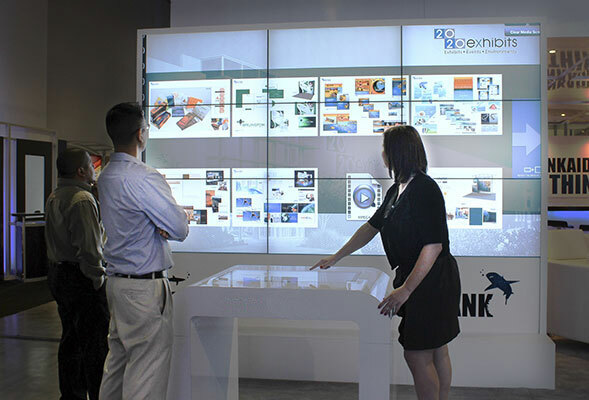 In a tradeshow environment, each user can view separate and distinct content or collaborate, with the option of showcasing the information on the larger video wall or screen. More interaction. More engagement. More customized, personalized attention. Let us show you how.